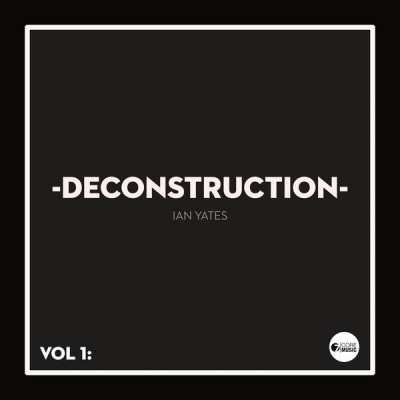 Read More Ian Yates lives in Liverpool, UK, and leads musical worship at various events and churches across the UK. Ian is part of the Elim Sound core team, which exists to 'Inspire, Equip and Encourage the church in worship'. 2013 saw Ian tour all over the UK leading people in worship over 120 times as well as leading at his home church. His heart is to see people come to know their true reality in Christ Jesus, that the world would know that God is a God of love, a good and happy God who longs to have a relationship with His creation. Ian first came into the spotlight when two of the songs from his independent album, 'Desperate To See Your Glory' and 'No One Like You', were picked to be included on Soul Survivor's 'The People's Album 3' in 2008. Ian's song 'Father Of Compassion' was then later featured on the Survivor Summer Sampler as a bonus track. In 2010 Ian launched his debut release with Survivor Records, 'The Hope And The Glory'. The album was followed by 'Good News', released in 2012 on 7Core Music, which featured former Delirious member Stu G on guitars and was produced and mixed by Trevor Michael (Delirious?, Trent, Phatfish) who also produced Ian's debut album. The following year he released 'Really Good News EP' as a free download. As part of the UK's Elim movement, Ian was involved in the Elim Sound studio album titled 'Fresh Mercy', released in 2011, and 'Sound Of Hope' which was recorded live during the Elim Bible Week 2012 at Telford International Centre. Ian's latest album, 'DNA', will be released on July 21st 2014. Mixing elements of The 1975, The Killers, Imagine Dragons and U2, this is rock filled passion at its best. More than an album of songs this is a soundtrack realigning us to our original DNA. We are made in the image of God, designed to change the world, born of incorruptible seed. The message throughout 'DNA' is of Gods love, grace and goodness from freedom to innocence, living in the fullness and enjoying our relationship with the Godhead. 'DNA' is full of positive, upbeat, and life changing songs, not neglecting the challenges and questions of life, but declaring that there is a hope. Despite the struggles and pain we can face, God is with us and is always faithful. The first single from 'DNA', 'Fullness' was released on June 2nd, and received much exposure through social media being downloaded in 24 different countries. In conjunction with the release of 'DNA' Ian is leading musical worship at 'Jesus Loves' conference in Liverpool 22-25 July and has an album launch event in Liverpool on Sunday July 27th. Here is the lyric video for Ian Yates' new single 'Blackout'.